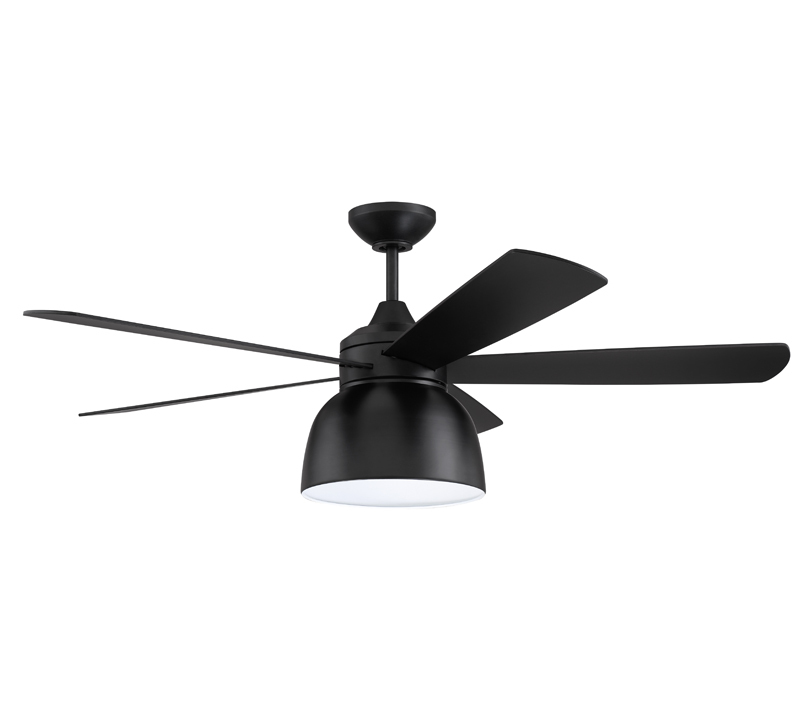 A new product set to debut at Lightovation this January from Craftmade, the Ventura ceiling fan features a sleek dome with an integrated frosted LED light. The fixture includes wall and hand-held controls. Available in Flat Black and Cottage White finishes.